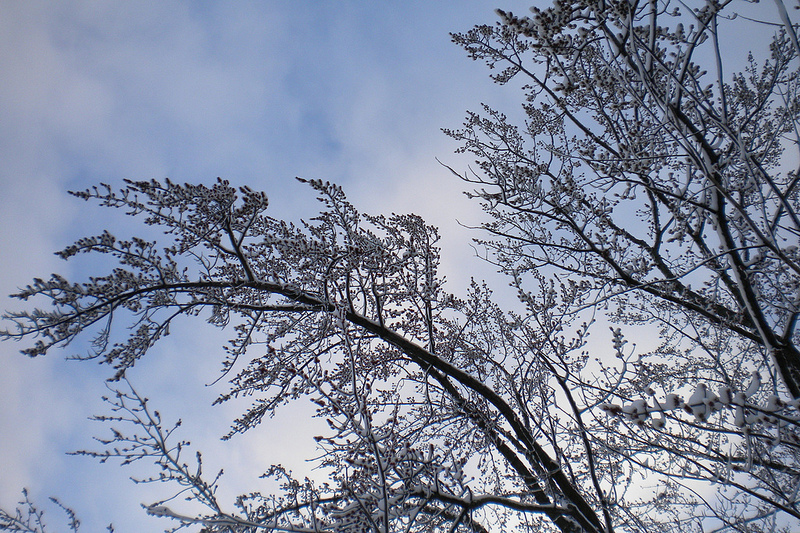 This photo was taking looking “up” at the morning sky through the heavily laden branches of what we hope is the last snow of the season. The sun is such a welcome sight! Weekly Photo Challenge: Up – Up & Even Upper / The San Francisco Scene – – Seen! Very pretty! I’ll cross my fingers for you. 🙂 Thanks so much for sharing our post! Thank you! And you are welcome — I enjoyed the tour! I love Louisa May Alcott and Little Women Jo March is one of my all time favorite characters. As for the photo … it reminds me of fossilized leaves in sandstone. Oh interesting! I hadn’t thought of that, but I can see it. Such a lovely photo!! Love the start of spring, the sun always feels so bright and warm! Thanks for following my journey, it means a lot. I will definitely be on the lookout for your next post! Thank you! Can’t wait for the green to start showing.